Verdelite: Mineral information, data and localities. 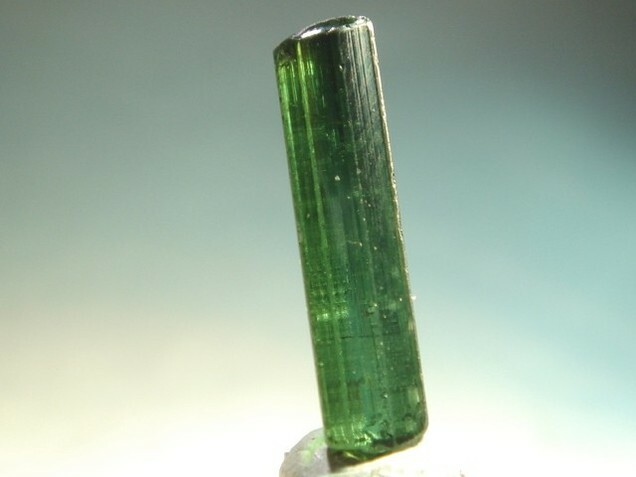 A green variety of tourmaline. Visit gemdat.org for gemological information about Verdelite. Quartz 9 photos of Verdelite associated with Quartz on mindat.org. Elbaite 5 photos of Verdelite associated with Elbaite on mindat.org. Rubellite 3 photos of Verdelite associated with Rubellite on mindat.org. Lepidolite 3 photos of Verdelite associated with Lepidolite on mindat.org. Albite 3 photos of Verdelite associated with Albite on mindat.org. Indicolite 3 photos of Verdelite associated with Indicolite on mindat.org. Cleavelandite 2 photos of Verdelite associated with Cleavelandite on mindat.org. Muscovite 1 photo of Verdelite associated with Muscovite on mindat.org. Rock Crystal 1 photo of Verdelite associated with Rock Crystal on mindat.org. Morganite 1 photo of Verdelite associated with Morganite on mindat.org. Nemec, D. (1989): Chemical composition of tourmalines in pegmatites of the Jihlava massif (western Moravia, Czechoslovakia). Chemie der Erde 49, 317-340. 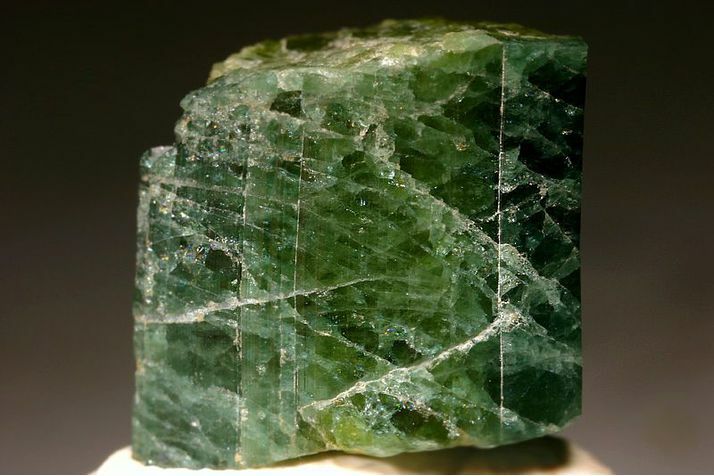 Jessie Fisher; Dias, M. Bettencourt and Wilson, W. E., 2000, Mineralogical Record, 31:459-497. Oleg Lopatkin; Thomas, R., & Davidson, P. (2010). 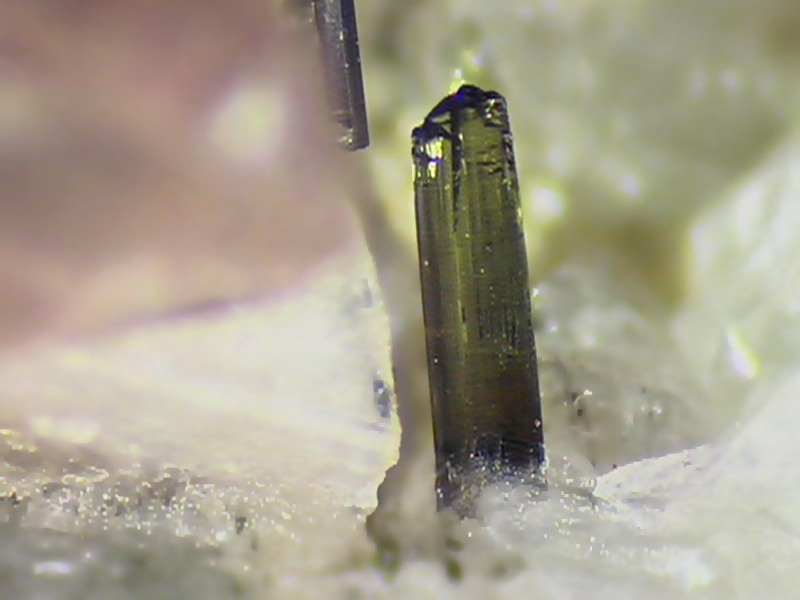 Hambergite-rich melt inclusions in morganite crystals from the Muiane pegmatite, Mozambique and some remarks on the paragenesis of hambergite. Mineralogy and Petrology, 100(3-4), 227-239. Jahns, R.H. (1952), AZ Bur. Mines Bull. 162: 87-90. Bradley, W.W. (1916b), Fresno and Kings Counties: California Mining Bureau. Report 14: 439; Murdoch, Joseph & Robert W. Webb (1966), Minerals of California, Centennial Volume (1866-1966): California Division Mines & Geology Bulletin 189: 370. Geffner, P. and Fisher, J. (1997) Recent Work at the Lithia Dyke Claim, Cahuilla Mountain, Riverside County, California. Rocks & Minerals, 72 (3): pp. 156-161. Kunz, G. F. 1905. Gems, jeweler's materials, and ornamental stones of California. California State Mining Bureau bulletin 37: p. 121-22. Anonymous (1955), World news on mineral occurrences: Rocks & Minerals: 30: 141-142; Cooney, R.L. (1956), The mineralogy of the Jensen and Henshaw quarries near Riverside, California: Unpublished Master’s thesis, University of California at Los Angeles: 16; Pemberton, H. Earl (1983), Minerals of California; Van Nostrand Reinholt Press: 503. Ware, J. W. (1935) Gem Mining in San Diego Co., California: Precious Blue Topaz; Gems & Gemology, Vol. I, No. 8, March-April, pages 218-219; 240pp. Schaller, W. T. 1917. Gems and precious stones. Mineral Resources U.S., 1915, pt. 2: p. 856. Mesa Grande Tourmaline & Gem Company 1906. Do It Now!! Buy Tourmaline Stock; The Pacific Monthly, Advertisement Section, January 1906. The Pacific Monthly Publishing Co.; Portland, Oregon. Mauthner, M. H. F. (2011), Recent Updates from the Oceanview Mine. The Vug quarterly magazine 4(1): 41-43. Kunz, G. F. 1905. Gems, jeweler's materials, and ornamental stones of California. California State Mining Bureau bulletin 37: pages 86, 133. Kunz, G. F. 1905. Gems, jeweler's materials, and ornamental stones of California. California State Mining Bureau bulletin 37: pages 124-125. Jahns, R. H. and Wright, L. A. 1951. Gem and Lithium-bearing pegmatites of the Pala District, San Diego County, California. California Division of Mines special report 7A, page 57. Rogers, A. F. 1910. Minerals From The Pegmatite Veins Of Rincon, San Diego Co., California. Columbia University School Of Mines Quarterly Journal Of Applied Science, Vol. 31 pp. 208-218. Schaller, Waldemar Theodore (1916d), Cassiterite in San Diego County, California: USGS Bulletin 620: 353; Murdoch, Joseph & Robert W. Webb (1966), Minerals of California, Centennial Volume (1866-1966): California Division Mines & Geology Bulletin 189: 371. Weber, F. H. 1963. Geology and mineral resources of San Diego County, California. California Division of Mines and Geology, County Report 3: p. 106; illus., maps.